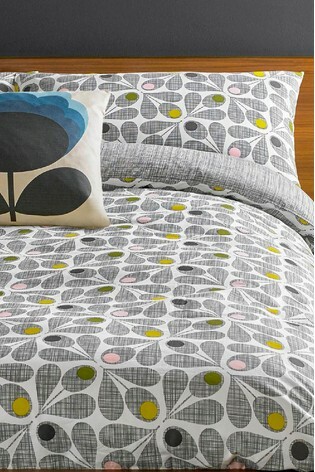 Nature and mid-century design being Orla Kielys constant inspirations, brings us the acorn cup print. The acorn print is classic and charming at once. Destined to re inspire new bedrooms, start planning with this new set. Made from the softest cotton. 200 thread count. Duvet cover sold separately.